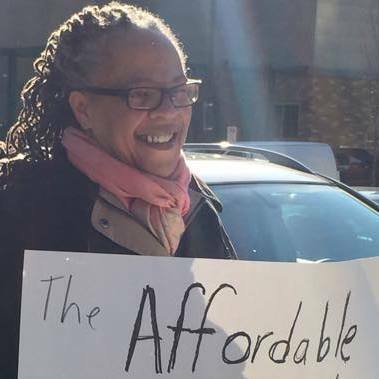 With a video posted last week, Lillie A. Estes becomes the first announced candidate in the contest to be Richmond’s next mayor. According to LinkedIn, Estes is a Community Strategist at ALO Community Strategy Consulting, has been a member of the Richmond Anti-Poverty Commission, and has worked as a substitute teacher in Richmond Public Schools. News reports describe her as a resident of Gilpin Court and as a community strategist. soooo, does she have a platform, where we, as citizens can view her stances on a variety of issues. How she’ll address the crumbling schools, food deserts, previous and future economic investments, public transit, public services etc. I wasn’t able to find anything yet. Mike, I agree she should write up her “platform” for us to see her views. However, is genuine and from the heart of Richmond. That’s better than 99% of fraudulent politicians who run with all their fancy platforms and campaigning . I wrote to Ms.Estes, she says that more will be forthcoming. Yes Ms. Lillie is the best thing smoking. She is honest and has the heart of the people in mind. She is a humanitarian and above all she is what not only Richmond needs but the US as a whole. If I lived in Richmond she would have my vote! I will donate to her campaign and I support her 100%!!!!!! The first candidate in the race. I applaud Ms. Estes for entering the contest. I think the “big money-political movers” won’t make their move until the Spring.